The Ultimate Live Sound Operator's Handbook is written to specifically address the concerns and needs of sound operators of all types. High-quality audio is imperative, whether you're running sound for a rock, country, punk, or jazz band performing in clubs, arenas, or outdoor parks. With the advent and implementation of large-budget multimedia presentations, high-resolution multichannel audio for movies, television, and downloads, any live act must sound great to be well received by today's increasingly sound-savvy audiences. 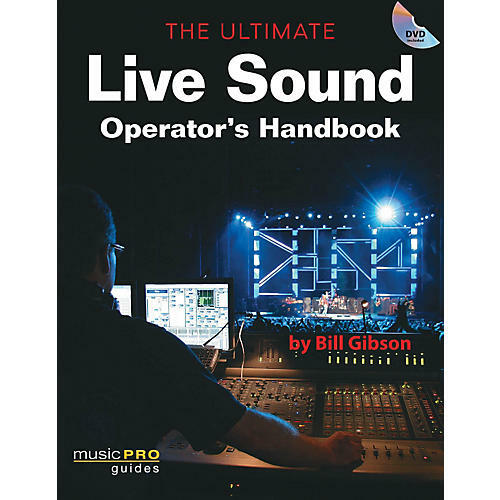 This comprehensive, informative book and DVD focuses on each aspect of live sound in a way that is straightforward and easy to understand, breaking the process down into tips, principles, and practices that assist the modern sound tech or audio engineer in everything from planning and budgeting to mixing and recording the live show.